On episode 84 of The Nurse Keith Show, holistic career coach Keith "Nurse Keith" Carlson celebrates the American Thanksgiving holiday by discussing the importance of expressing gratitude for our nursing careers and the many gifts we've received from being nurses. Nursing is an amazing profession that gives us so much, and acknowledging how nursing has changed our lives is important in terms of appreciating the many gifts of being a nurse in the 21st century. Does the house of your nursing career need some redecorating? Do you need to tear down a wall, put in a window, or otherwise pivot in your career in order to create a new vision of what's possible for you as a nurse and healthcare professional? On episode 83 of The Nurse Keith Show, holistic career coach Keith "Nurse Keith" Carlson discusses the foundation of your nursing career, and the potential changes that can be made when it's time for something new that will truly fulfill the vision of who you are and who you want to be as a nurse. Are you a nurse iconoclast and mold-breaker? Do you tend to go against the grain or color outside the lines? On episode 82 of The Nurse Keith Show, holistic career coach Keith "Nurse Keith" Carlson discusses how nurses need to resist the internalized oppression that keeps us feeling that we need to do things the way other people say we should. Coloring outside the lines can be fun and exciting, and if you want to march to the beat of our own nurse drummer, so be it! Do you sometimes feel ashamed that you lack certain nursing skills or have skills that have become rusty? Or maybe you feel like you're not a "real" nurse because you don't work in a traditional hospital-based role? Don't feel bad, nurses; we all have our own unique genius! On episode 81 of The Nurse Keith Show, holistic career coach Keith "Nurse Keith" Carlson speaks about how we need to feel empowered by, and proud of, what we know and who we are as nurses. Every nurse does something important and meaningful, and we can't allow low self-esteem, the judgments of others, or "Impostor Syndrome" to get in the way of our careers and self-worth. Are you a nurse polymath? Are you the Leonardo da Vinci of #nursing? On this episode of The Nurse Keith Show, holistic career coach Keith "Nurse Keith" Carlson discusses polymaths, people who know a lot about many things. Nurse polymaths can use their natural curiosity to simultaneously strengthen both their intellectual prowess and emotional intelligence, which can improve nurse-patient relationships and nurse effectiveness, not to mention career satisfaction and happiness. If you're not sure if you're a nurse polymath or not, this is an episode not to miss! On episode 75 of The Nurse Keith Show, holistic career coach Keith "Nurse Keith" Carlson discusses the ups and downs of creating your own personal career website as a nursing career development and job search strategy. Confused about whether having your own website will actually help you find the job or career path of your dreams? Let Nurse Keith guide you in making an informed decision. On this episode of The Nurse Keith Show, holistic career coach Keith "Nurse Keith" Carlson discusses the need for nurses to stay aware of changes in healthcare and nursing, and be ready to pivot and change with the times in order to remain relevant and optimally employed. Don't allow changes in healthcare and nursing to catch you unaware. Stay abreast of change and be willing to pivot with the times. On this episode of The Nurse Keith Show, holistic career coach Keith "Nurse Keith" Carlson compares your nursing career with a delicious, frothy latte. Want to add more flavor to your career? Let's spice it up! On this episode of The Nurse Keith Show, holistic career coach Keith "Nurse Keith" Carlson discusses the notion of approaching your nursing career as a marathon, not a sprint. Your nursing career deserves a 360-degree view at all times; seeing your career from the 10,000-foot view allows you to take the long view and see the forest for the trees. On this episode of The Nurse Keith Show, holistic career coach Keith "Nurse Keith" Carlson discusses how nurses must be ready and willing to pivot in the course of their nursing careers when the times call for savvy, thoughtful change in the interest of professional development and career satisfaction. On this episode of The Nurse Keith Show, holistic career coach Keith "Nurse Keith" Carlson discusses four important things that nurses need to consider saying "yes" to more often. Can't guess what those four things are? Better listen to episode 66 to find out! 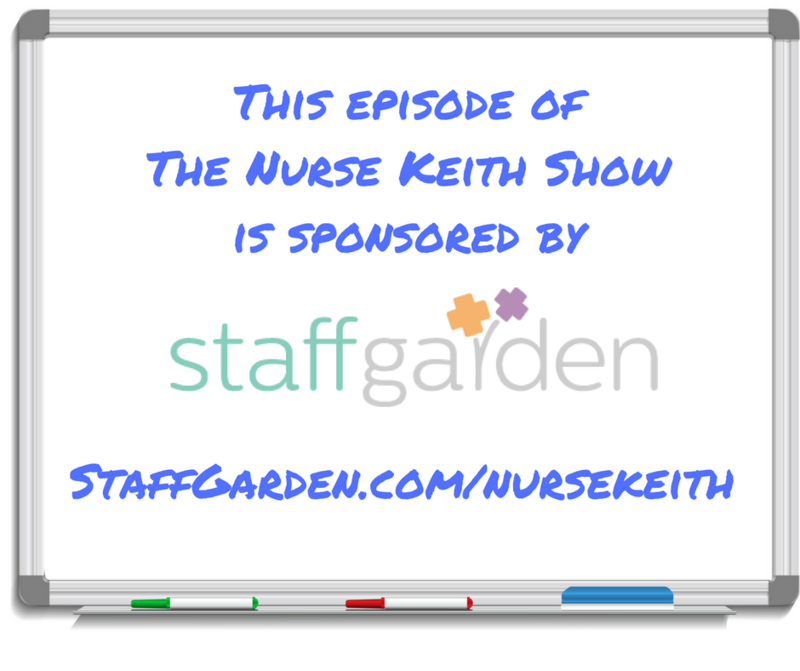 On this episode of The Nurse Keith Show, Keith discusses four archetypes of nurse networkers, and how their networking skills benefit their professional careers and nursing career development. On this episode of The Nurse Keith Show, we discuss how nurse entrepreneurship is exploding among nurses. Opportunities abound for nurses to create business ventures of any size, and the number of nurse-run businesses will only continue to grow!